..which don't appear to be a normal feature of this tree's leaves, at least according to the pictures on Wikipedia (I'm no botanist). We've only moved here for a few months, so am not sure whether it has always been like this or whether the tree only got infested in the last period. 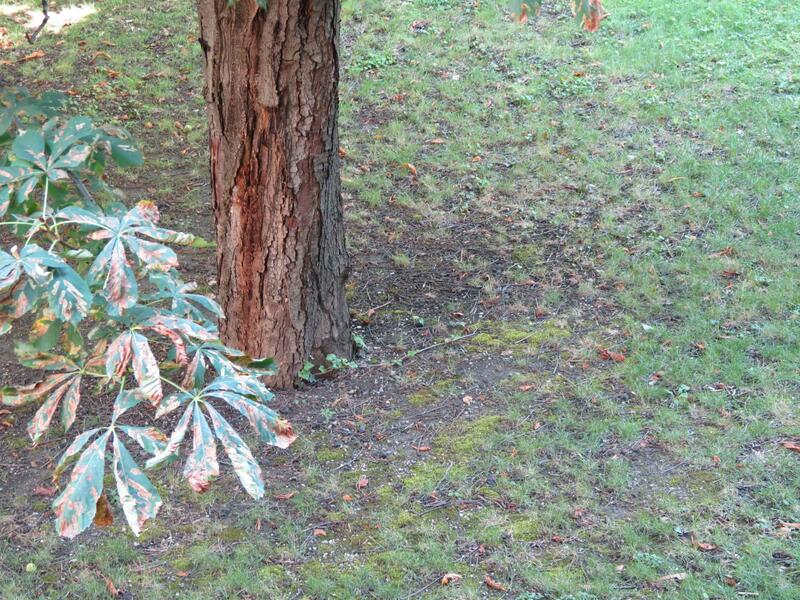 Does the leaves' degradation + non-fertile ground around its root, signal that the tree is sick? If so, is there some "medicine" I can get for it myself, or would I have to speak to the administrators of the garden? Thanks in advance for any thoughts! 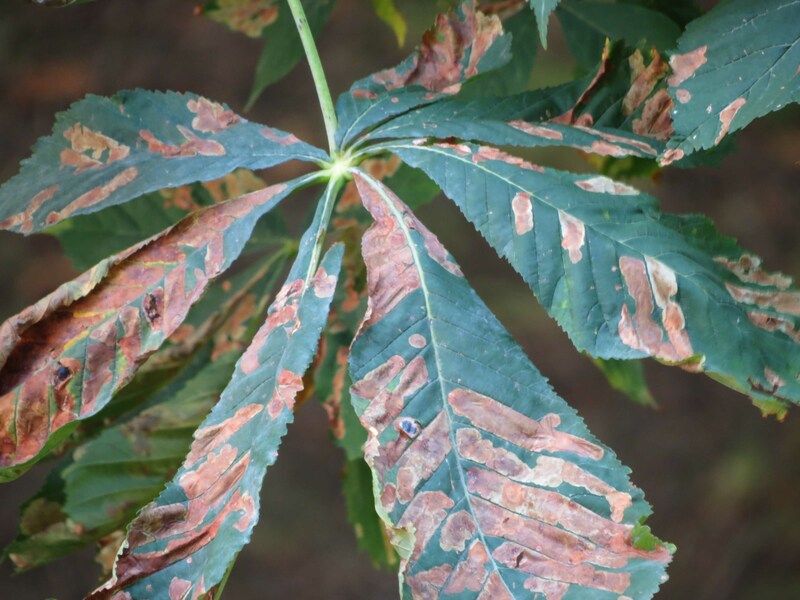 This looks like Horse Chestnut Leaf Miner (https://www.rhs.org.uk/advice/profile?pid=533). 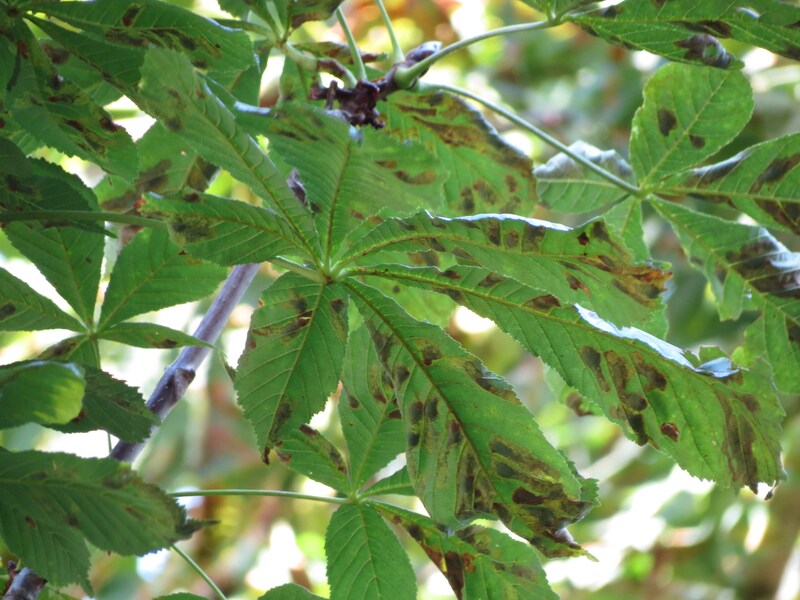 It is very common, and infects most of the horse chestnut trees around here. Some years are worse than others. It has been spreading for the past few years. It doesn't seem to seriously harm the tree, but there is no cure I have heard of. The link I posted from the RHS offers some ideas about collecting the leaves and composting them in sealed bags, until the moth larvae have died. 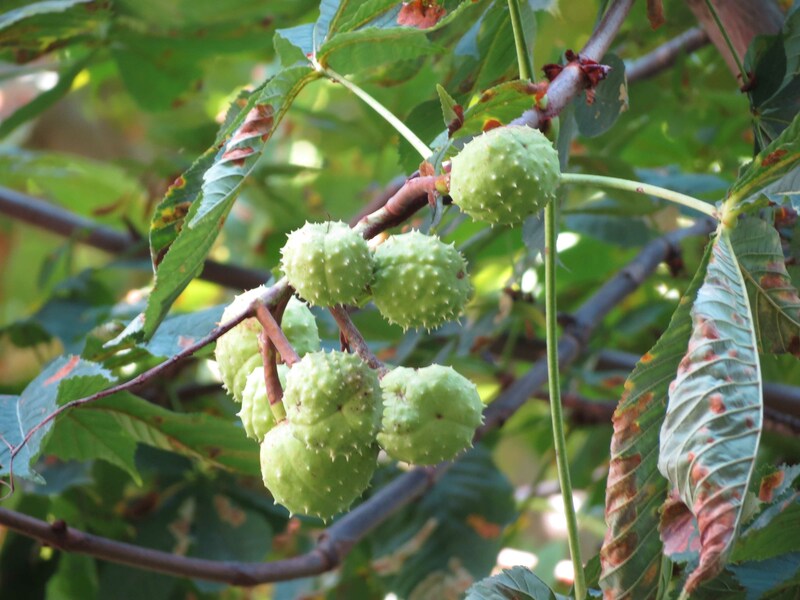 Occasionally, trees have been found that are genetically resistant to the disease. Don't worry about the grass, the tree needs the light and water from that bit of soil, but you could try some bark mulch around the trunk to cover the soil, and keep the moisture in.